Android and Windows 2-in-1’s are weighing the market down, it was said. 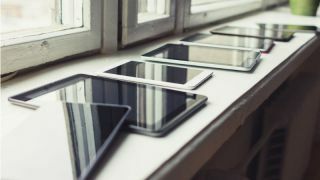 The tablet market has seen a seven per cent decline year on year in the first quarter of 2018, a new report from Strategy Analytics’ Connected Computing Devices (CCD) service says. Shipments of Apple’s devices grew two per cent, compared to the same period last year, to 9.1 million units. This has resulted in its market share for tablets going up to 23.4 per cent. The report states that this is a 31 per cent sequential decrease, thanks to stronger performances in the previous quarter. On the other hand, Android shipments fell to 24.2 million units worldwide, which represents a 10 per cent decline from 26.9 million units a year. Similarly, to Apple, this is 31 per cent sequentially, after strong seasonality last quarter. Finally, Windows shipments were down nine per cent this quarter, to 5.7 million units, representing a 22 per cent fall from the holiday quarter. “The Windows 2-in-1 market is in for a tumultuous year as new and improved options for productivity come into focus around Always Connected PCs and 2-in-1s utilizing ARM-based processors and LTE connectivity, new Chrome OS options among Detachable 2-in-1s, and usability improvements for the iPad Pro,” said Eric Smith, Director at Connected Computing.